Last month, I reviewed the first book in the Divergence trilogy by Veronica Roth, called Divergent. 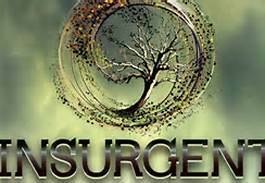 I’ve now finished Insurgent, so I’ll give you my thoughts on it as well. Here there be spoilers, folks. I enjoyed this book just as much as the original. In the previous book, we knew next to nothing about the Amity faction. In this book, we learn that it administers a “peace serum” to its members and those who visit its counseling facilities. To me, they seem like futuristic hippies, and this disappointed me. They were the faction I was most fascinated with. They’ve traded peace for fake euphoria. We also learn the Candor faction is downright scary. You’re not supposed to have secrets. When you’re initiated, you’re given a dose of truth serum. I don’t like this at all. A society can’t function without secrets. We now find that the Erudite have stepped up their simulations on the Dauntless, and are even subliminally cause them to commit suicide. Tris is kidnapped by the Erudite and subjected to tests in the hopes of removing what makes her a Divergent. I won’t tell you how that turns out. I have yet to read the final book in the trilogy, but when I do, I will review that one as well. Sometimes I really hate about children’s television is how increasingly idiotic it seems. The general consensus believes that because children will watch anything, you don’t need effort. Fortunately, there are some programs that believe otherwise. 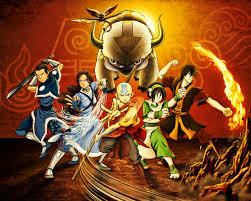 One such program is Avatar: The Last Airbender. It lasted three seasons and has spawned a sequel: The Legend of Korra. The show takes place in a world where people can bend the elements to their will. Where the Fire Nation has risen up to subjugate the world under its boot. And a boy named Aang must master all four elements in order to restore the world to balance. Helping him are Katara and Sokka, two siblings of the Northern Water tribe, and his flying bison named Appa. I like this show because it takes its audience seriously. Its world-building is unparalled, and the writing is top-notch. The animation is very fluid, and influenced greatly by anime. This is a show that both adults and children will enjoy. I highly recommend it. I’m planning on a four-part discussion of this series. Part two will delve into season 2. 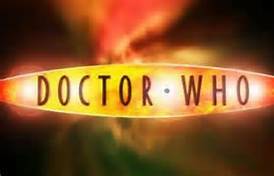 Part 3 will be about season 3 and I will post that as soon as I buy it. Finally, I will count down my top 10 favorite episodes. This is an interview I meant to do earlier this year, but lost. Thankfully, my subject was willing to re-send it. As long as I can remember. I was raised in a Sabbatarian church (more on that in a bit), and continue to live happily within its shadow. I haven’t ever thought of myself as anything but a Christian. However, in the last couple years I’ve rethought how I define what being a Christian means in my own life. I’ve toned down my stance on straight biblical literalism, started looking into where and how the Bible was built; I’ve also broken politically from the conservative Christian lockstep (not that I was in that lockstep much in the first place). Nowadays, I believe that my role as a Christian is to bring justice and comfort to the world. Something like that. 2. What would you say is proof of God’s existence? I don’t believe the existence of God is something that can be proved, the same way you can prove, say, the Pythagorean theorem. For me, the reasons I believe in God have been more experiential than logical. I believe I’ve felt the presence of God, maybe even had Him speak to me once or twice. In the end, though, I can’t prove for sure it was really God, but I don’t see any better explanation. Besides that, I see evidence for something beyond naturalism in abiogenesis (the beginning of life from non-life). While I believe that evolution – real macroevolution, no Creationist “microevolution” dodge about it, because I see them as the same process – occurs, the biochemical conditions for evolution to occur, especially genetic inheritance, are incredibly complex and interlocking, and I find it hard to see that coming about by chance reactions. I’m also a big fan of Job 28. It’s about rocks. 4. Tell me about your childhood. Background-wise, I’m just about as middle class, white bread, all-American as they come. I’m the oldest of three, and my parents are still together; we were pretty well-off. Like I said, I was raised in the Church of God (7th Day), spent all my life in it. My grandfather was the pastor of my home church up until last year, my mom plays piano pretty often, we went to regional meetings a lot, and I’m related to quite a few of the members in the northwest (it’s a small denomination). The people I met at church ended up being my friends for the long-run – we’re still really close. From a pretty young age, I was a smart kid. I was reading the newspaper by five, got disappointed when we weren’t going to learn long division in kindergarten, I blew through elementary… That is, until 5th grade. The school I was at was trying something different, something about trying to transition us into middle/high school type shifting between rooms for different classes. One of the teachers really rubbed me the wrong way, and I ended up making a Powerpoint about how I was going to take over the school with Molotov cocktails. (I wasn’t, of course.) I got suspended for a week for that little escapade, and it forced my parents’ hand, because they were planning to put me into high school correspondence courses. That ended up happening sooner than we expected. So from then on, I was homeschooled, plugging through high school courses at the ripe old age of 10, and ending up a year or so ahead of the game going into Running Start at 15, which is theoretically for juniors, but I had nearly all my high school work done at that point. But let’s not get too far ahead of ourselves. Back when I was around 9, I started going to this camp down in southwest Oregon every year; at first I was just there to have fun like everyone else, but when I got moved up to the teenagers’ camp, that’s where I started connecting spiritually with God. The camp pastor was a great guy, he’d been doing it for years (still doing it, as far as I know), and one night after fireside, I felt the presence of God. Not a speaking in tongues type thing, just this feeling like I needed to go off by myself and start worshiping. Next year, I came back, got a taste of the same feeling (it wasn’t quite as strong this time), and got baptized without consulting with my parents; I just went ahead and did it – it’s easier to apologize than ask permission, as they say. From then on, at the ripe old age of 15 I was a college boy, living at home and taking the bus to the local university. First I wanted to get into geography – from a really young age, keeping up with world politics has been a hobby of mine, and somewhere along the line I qualified for three state Geography Bees – but my parents sort of talked me out of it, suggesting I take some general education classes first. Looking for another major, I found environmental science, something else I’d been into for forever. Then I took a geology course as part of that degree; the envi-sci program made it easy to take a double major in those, so that’s what I did, and over time, the geology aspect subsumed the environmental science aspect, geology being a more developed program than the other, which mostly piggybacked on the rest of the science departments. Anyway, I got bachelors’ degrees in environmental science and geology, got a job the next year, and that’s about the end of it. 5. Tell me more about this job. Until very recently, I was a geologist at a copper/silver mine up in northwest Montana. I work on the exploration side of things, working with core drillers, logging drill core and stratigraphy in order to find more ore and extend the life of the mine. To do this, we take a drill rig up the mountain, stick a diamond-studded cookie cutter on the end of it, make thousand-foot holes in the ground with it, and pull up the rock as we drill through the strata. The best analogy I can give for exploration geology is a game of Battleship. With the first couple shots you make, you’re mostly guessing, based on what you know of the person you’re playing against, or maybe following some pattern, like aiming for the center first. With enough shots, you’ll build up a pattern of hits and misses, and you can predict where you’re going to score a hit again. Now imagine that it takes two to three weeks, thousands of dollars, a couple experienced core drillers and a collection of heavy machinery every time you make a shot, and embed the targets in multiple levels of rock a couple thousand feet beneath the ground, and that’s about what we do. My role in all this was as a spotter for our shots – I looked at the minerals and rock types in the core we drill up, saw if we hit the good stuff or not write it down, and tried to guess where it is in the target formation based on the other holes we’ve made. It’s time-consuming work, spent alone in a core shack, just you and the rock, but somehow it stayed exciting for quite a while. It’s a gambler’s thrill, I guess, waiting with bated breath for your next sight of the tiny purple and yellow specks that tell you you’re in the money. 6. 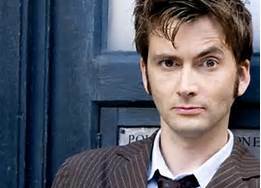 Favorite Biblical figure and why? He pretty much wanders around killing people, no matter how counterproductive or messy it gets, and yet David keeps him around for the entire time. It seems like David to get rid of him after the incident with Bathsheba, picking a replacement, but then Joab comes back and kills that guy too! Then when Absalom revolts, David sends him after Absalom, telling Joab explicity not to kill him. And not only does Joab kill him, after David finds out Absalom died, he’s the one that comes in and slaps David out of mourning for the guy he just murdered! It’s amazing what David put up with with Joab – he was this necessary evil, so much so that David couldn’t bring himself to deal with him while David was alive. Besides that, I also like Amos. Out of all the minor prophets, he’s the most interesting to me, the things he says and the way he says them. Amos is rough, uneducated, and best of all, completely ticked off. He starts railing against all of Israel’s enemies, leaving nothing back…or so it seems, until he finally turns against the sins of Israel and launches into a fury of poetic passion that makes everything else he just said pale in comparison. 7. Who have you met that inspires you to be a better person and why? I’ve got a friend named Jonny I’ve known since I was pretty young – we met each other at the church we both still go to. Over time I’ve seen him grow from a wild child/idea man who pushed the gang into crazy plans he thought up, into a level-headed, devoted husband and would-be youth pastor pursuing a masters’ degree in divinity. We’ve spent a lot of time lately tossing “inconvenient” ideas about theology and the nature of the Bible back and forth, and we’re finding how much we agree on these things.